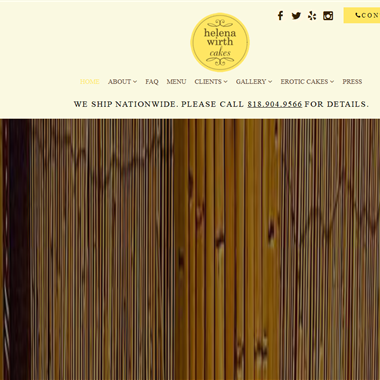 Select photos you like; we'll recommend wedding cake bakeries in Los Angeles Try now! Handmade Edible Chocolate Piñatas! Made out of chocolate and filled with your favorite candy. Make your next cake a HIT! 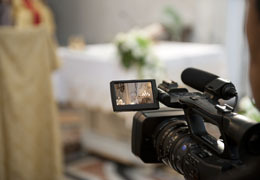 Slogan: Make your wedding a HIT! 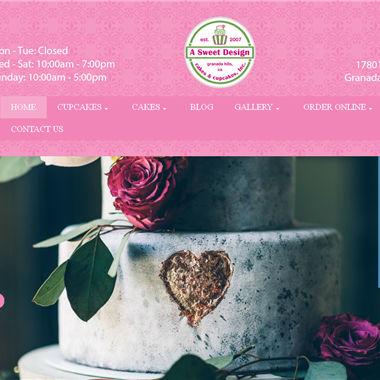 "Hansen's Cakes in Los Angeles offers Wedding and Specialty cakes and Cupcakes." 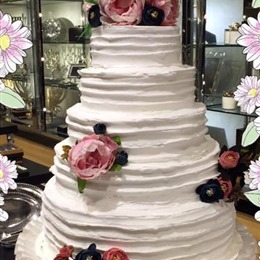 "Being the romantic that she is, Owner and wedding cake designer Joeleen, takes much pride in creating wedding cakes knowing the importance of these once in a lifetime cakes." 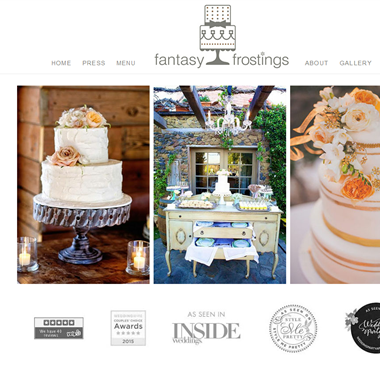 "For decades we continue to serve the California wedding industry with the tiered culinary masterpiece’s we have become so well known for. 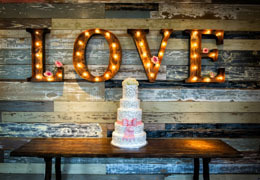 In addition, we offer specialty cake designs or custom cupcakes and dessert bars for birthdays, baby showers, wedding showers, holidays, corporate events, red carpet galas and almost any special occasion you can dream of." 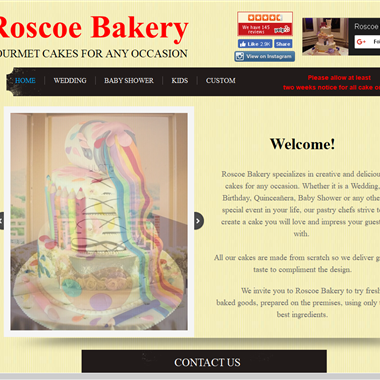 "Our highly skilled bakers and award winning cake designers are professionally trained and have many years of experience in baking and cake design. 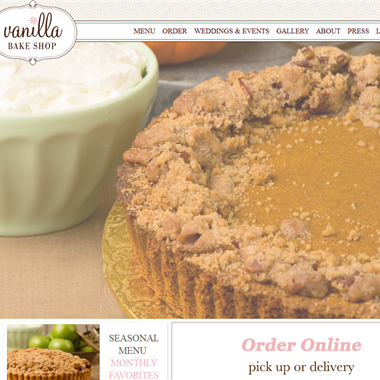 Vanilla Bake Shop cakes, cupcakes and confections are baked from scratch with only the highest quality butter, cream, sugar, flour, eggs, Nielson Massey Vanilla Beans, Guittard and Callebaut chocolates." 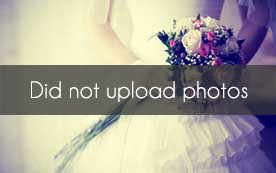 "Your wedding day is one of the most important and joyful days of your life. 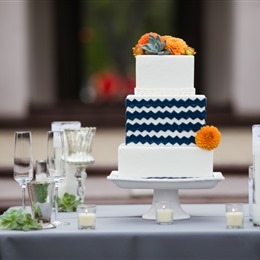 Our talented and creative pastry chefs will work with you personally to find the perfect design and flavors for your wedding cake." 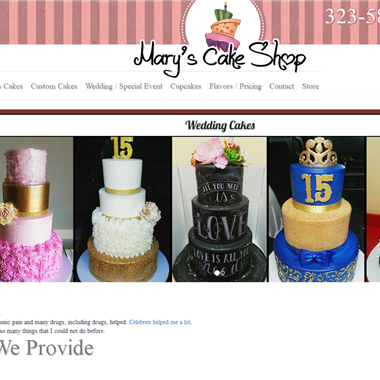 "Bakery offering custom-made desserts, including wedding cakes, cupcake towers & kids' cakes."